POWER AND PERFORMANCE: The proven Polaris® 550 Fan Engine brings just the right amount of power for riders. 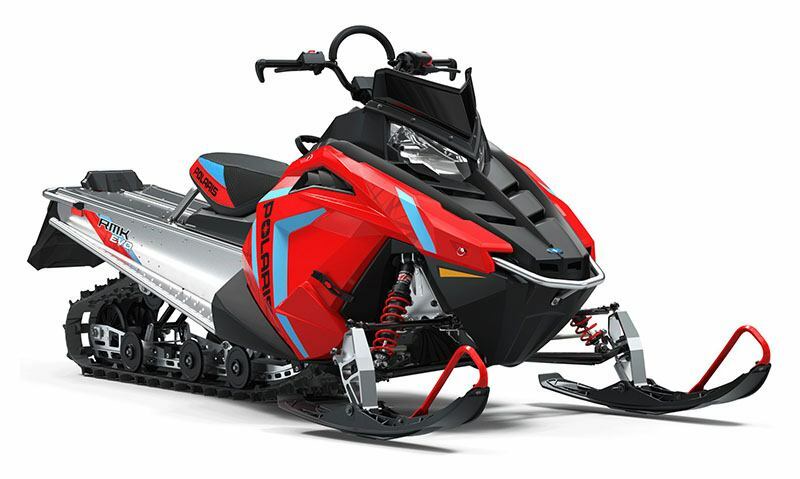 Speed is controlled electronically to 50 mph, and an accessory kit is available for additional power as skills develop. The smooth, consistent throttle response gives the rider confidence-inspiring control. RMK® EVO is available with and without electric start.